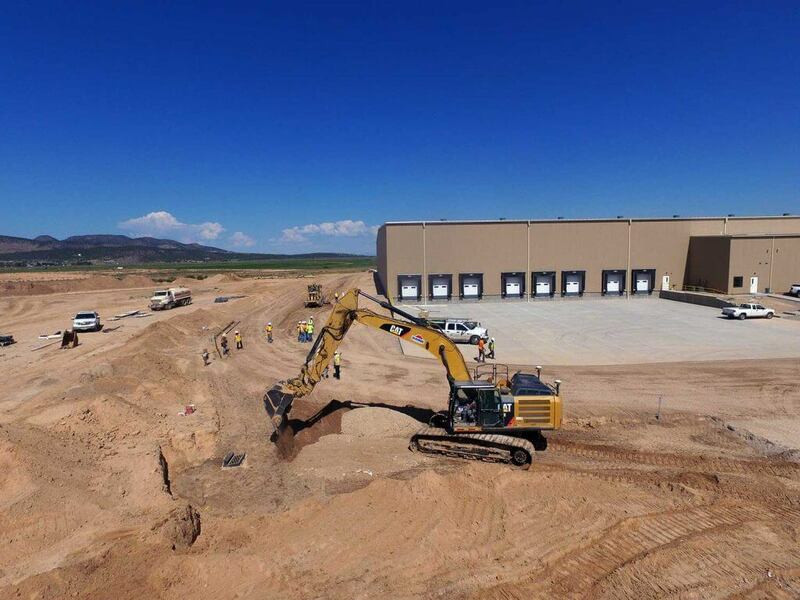 Sunroc is providing the demolition, excavation, over-excavation, scarify & re-compact, site grading and base gravel preparation to replace the current asphalt storage pad with a concrete storage pad. 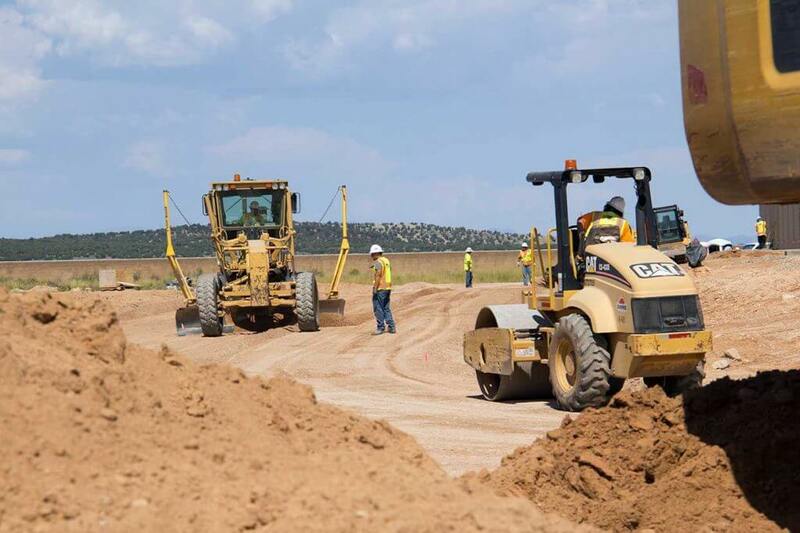 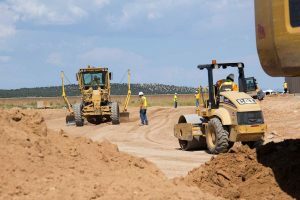 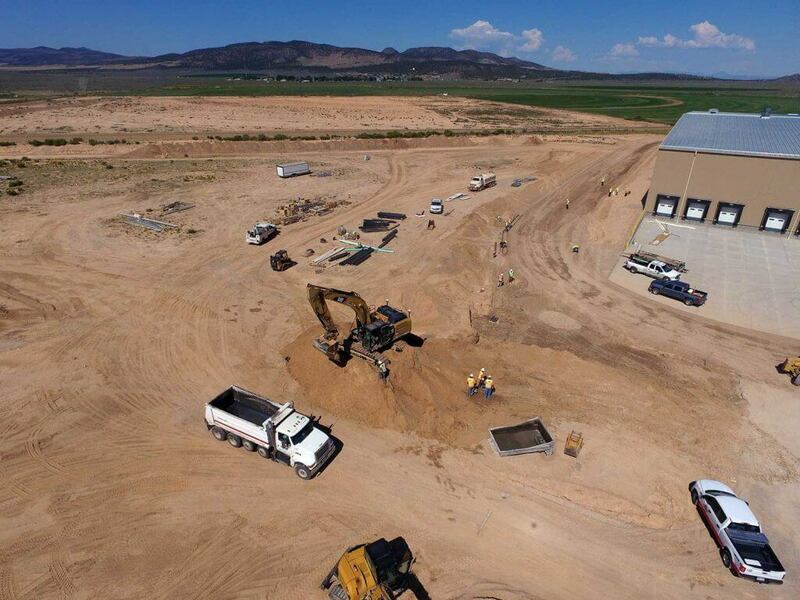 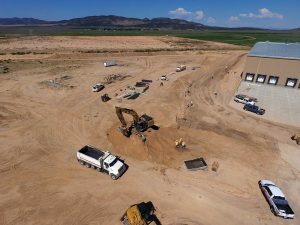 This portion of the project also requires some storm drainage installation along with Sunroc providing the concrete for the flatwork subcontractor. 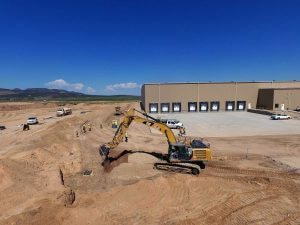 Sunroc is also doing all of the site work for a new building expansion portion of the project. 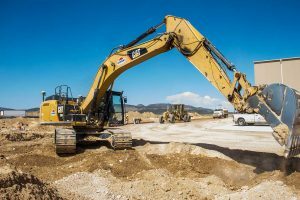 This includes digging and backfilling all footings, sanitary sewer installation, storm drain installation, culinary water installation, demolition, excavation and site work, concrete prep, base gravel placement and asphalt paving. 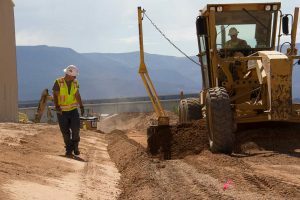 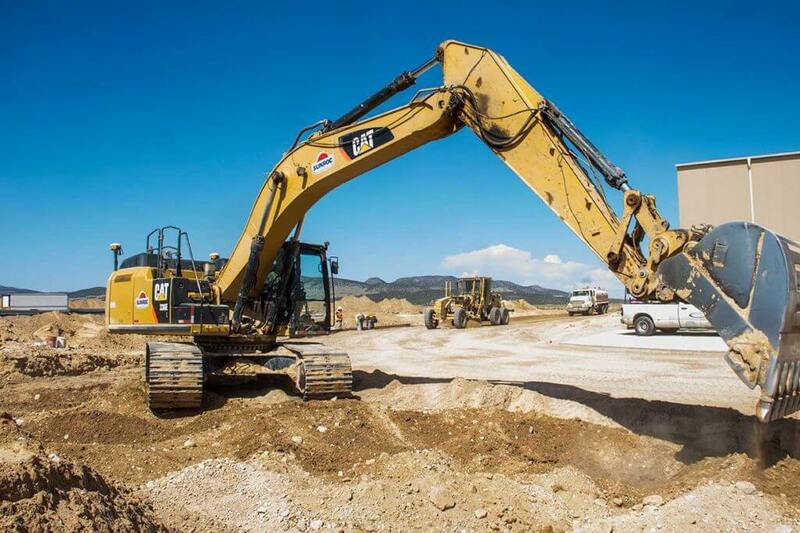 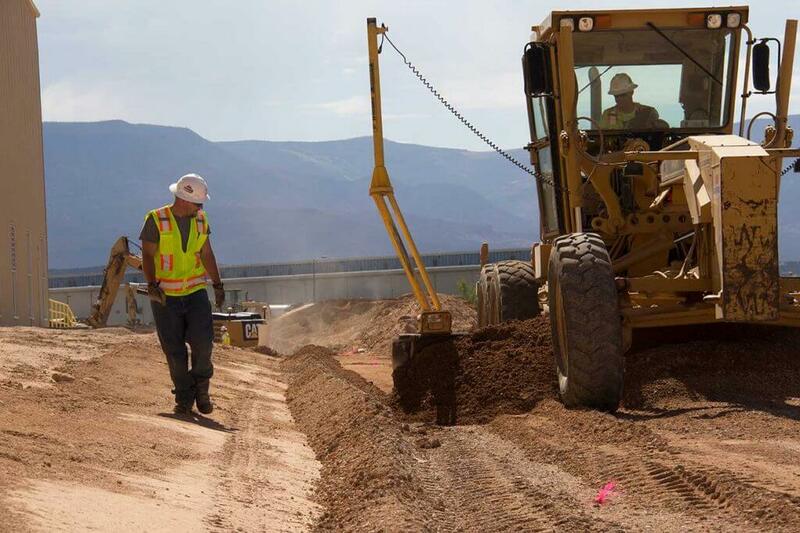 The challenge with this project has been the phasing to accommodate the pipe storage shuffling with the asphalt replacement portion and dealing with the cold weather conditions of working through the winter in Cedar City. 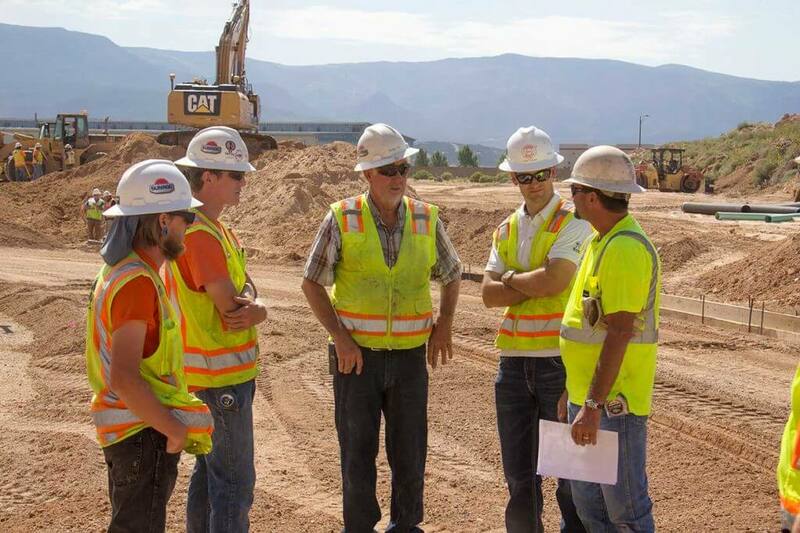 Sunroc is an essential part of the team with Layton Construction to work together to overcome these challenges and building the project in the most cost effective manner for the owner.